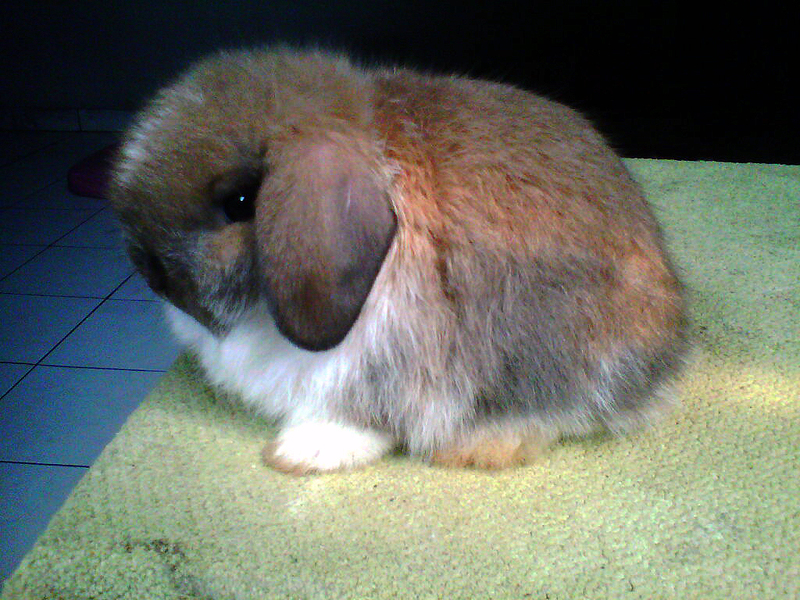 At the age of 3 weeks rabbit Holland lop provide physical appearance (phenotype) are funny. Could head too big compared to her body, her body could short round, vertical ears. At this age, rabbits love to play (exploration) in the stable, likes to imitate their parent or pelleted hay bite or drink bandwagon. When he was 4 to 5 weeks, start eating dry pellets or hay. At the age of Holland Lop rabbits should begin to be taught air-posing. Then when Holland lop rabbits aged 6 to 8 weeks, the rabbits begin clever or trained for posing. Also this age, is an opportunity to evaluate whether a short man, short ears and thick and round. Until the age of 10 weeks, rabbits can be posing with good. Seen head begins to form, solid body, the balance of the ear and head crown all of which indicate potential Holland lop rabbit is (prepotent) and holland lop rabbits reached perfection at the age of 2 years.